To lightly sweeten, we choose unrefined organic coconut blossom sugar. No nasties here! *Packed in a factory that uses wheat (gluten), tree nuts, soybeans, milk products, celery, mustard and sesame. This is not sickeningly sweet, and the beetroot adds a lovely earthiness. It thoroughly satisfies a chocolate craving. It's very yummy, but also a lot like hot chocolate, with a twist. 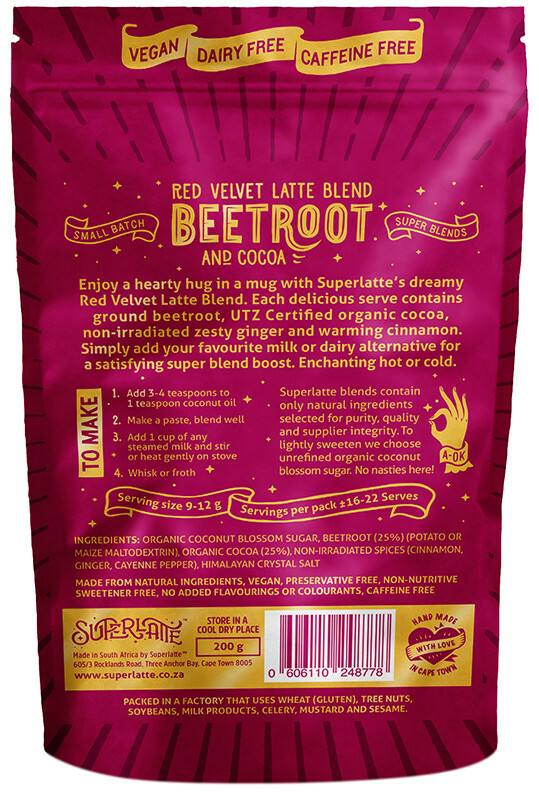 If you're a cocoa and beetroot fan, you'll totally dig it. But I gave it a 4 because I do find it a bit expensive for what it is. Sometimes you just gotta treat yourself! I use it as a smoothie mix with frozen banana and almond milk..delicious! A wonderful alternative to hot chocolate. A wonderful latte to indulge in once in a while. Does not have an overpowering beetroot taste. This has become my new favourite hot drink. It has a slight spiciness, and satisfies your chocolate craving. 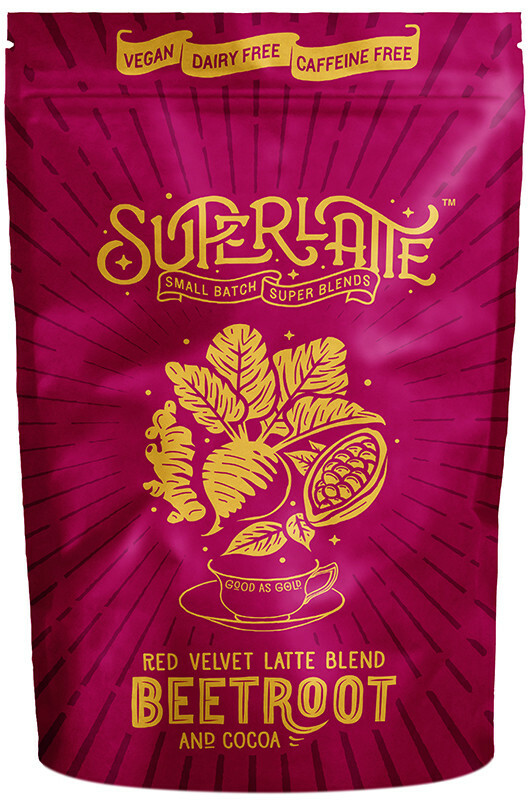 I absolutely love this latte - it is delicious & the ingredients are all healthy & natural. A great alternative to hot chocolate, and tastes great with frothed almond milk. Tasty and healthy. Value for money. Tasty and healthy. Best alternative to hot chocolate. On my third packet now. Value for money. Interesting taste and a nice alternative to coffee! Bit pricey per cuppa for the actual ingredients inside, however, still delicious. Lovely to drink especially on a cold day. My favourite coffee alternative. Best had first thing in the morning to start your day. Creamy and delicious. A comforting drink. So happy to have found this delicious hot chocolate. The best hot chocolate I've had, bar none. Better than any hot chocolate I've ever tasted!! This is such a delicious, rich, chocolatey drink. It's perfect for a cold winters night or a rainy day because of the sprinkle of warming spices it contains. I made mine with normal dairy milk, and didn't find it necessary to add any extra sweeteners. It's awesome knowing that every single ingredient is bursting with health benefits.